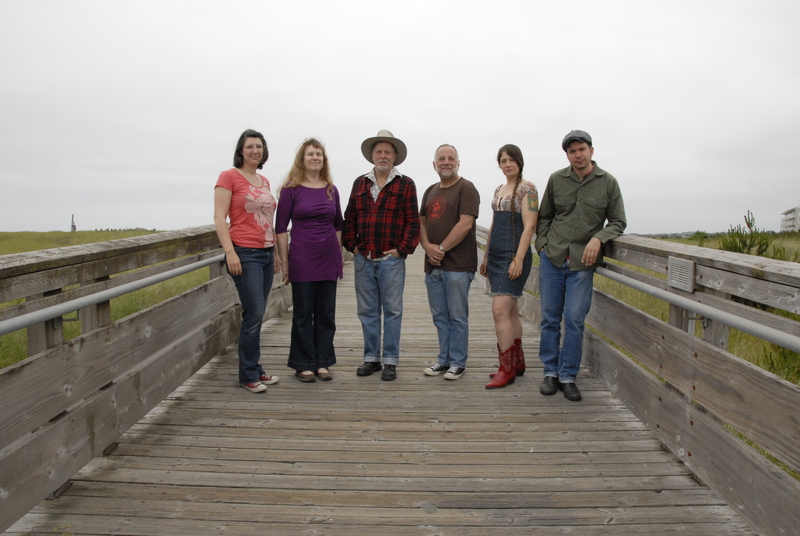 The Low Tide Drifters started performing in 2007 as a trio made up of husband-and-wife songwriting duo Nathan Moore and Kate Downing and harmonica player Dennis Soper. Since then, the group has evolved and expanded, and the current lineup includes multi-instrumentalist Chico Schwall, percussionist Wendy Schwall, and bassist Rachael Young. They have performed everywhere from large concert halls, folk clubs, and coffee houses to union halls, university classrooms, and retirement homes. The Low Tide Drifters have also shared the stage with many nationally-known songwriters and bands including Bill Staines, Mark Stuart and Stacey Earle, Brendan Phillips & Fast Rattler, and The Haymarket Squares. In 2011, the Low Tide Drifters released their first full-length album, New Hard Time Blues. A diverse collection of songs about labor history, parenthood, and life in the Pacific Northwest, the album received positive reviews as well as national and international airplay. Music for the Rest of Us is their second full-length album, and it features eight original compositions along with cover versions of songs by folksinger and longshoreman Harry Stamper and Scottish songwriter Alistair Hulett.